Reducing wrinkles along with other signs of age in the face is by far one of the most popular goals when it comes to anti-aging, age management and nonsurgical aesthetic treatment overall. While there are a number of increasingly popular treatments for facial aging, there is one that truly stands out. That treatment is Botox injections and therapy. Botox therapy can be considered the gold standard when it comes to reducing wrinkles, crow’s feet, and frown lines. The use of Botox has permeated everyday life through its discussion in medical circles, TV shows, and use by celebrities. You might be asking “why is it so popular?” The answer is thanks to two factors. One is that it is minimally invasive so you can resume regular life quickly. The other reason is that it works. While the results are temporary and require multiple treatments on an average of every 3 months, they fade gradually and are still noticeable. Continue reading to learn more about this procedure including its history, benefits, potential side effects, and getting started with Botox. Botox is the purified form of botulinum toxin type A. This chemical is produced by the bacteria Clostridium botulinum. 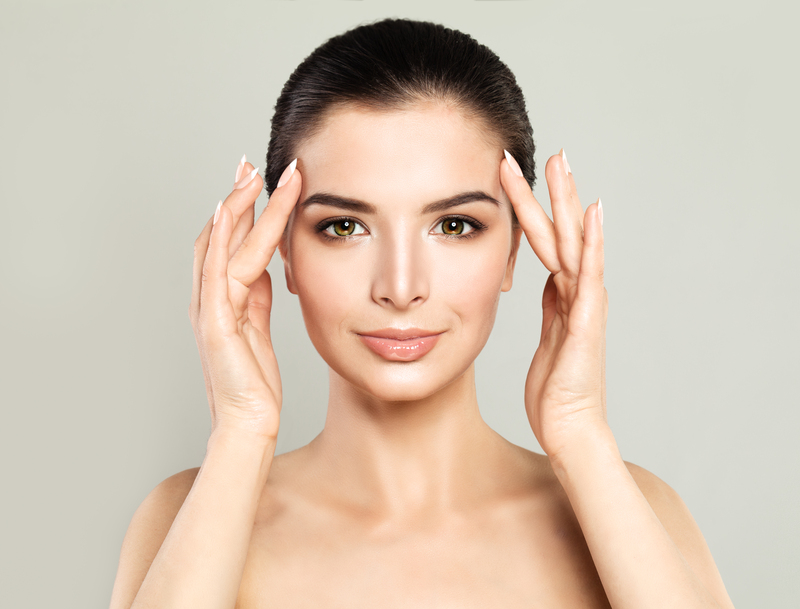 Originally, Botox was developed in the 1970s as a possible treatment for crossed eyes. In 2002, Botox was approved by the FDA for cosmetic purposes. FDA approval was widely covered in the media and made Botox a household name. Since then, Botox continues to be one of the leading treatment options for cosmetic effects on a global scale. Growing in popularity, this treatment was performed over 4.5 million times in 2016 and that number has only continued to increase. Performed via injection, Botox is used to improve or enhance a person’s appearance. The most common desired improvement is the reduction of the signs of aging on a person’s face. 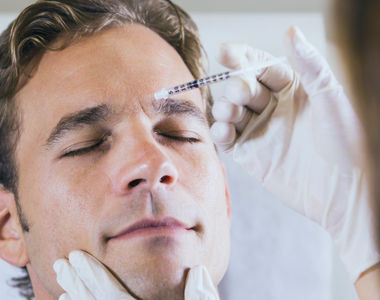 Only a certified medical practitioner can legally perform Botox injections. The importance of injections being placed precisely to minimize side effects cannot be overstated. The real danger with Botox therapy lies in being administered improperly. A skilled, licensed, and certified medical practitioner that specializes in Botox therapy is your best option for success. Finding an expert is as simple as visiting our online community. With AgeMD, valuable information detailing Botox as well as qualified practitioners for this treatment is at your fingertips. Keep in mind that your health and safety comes first with any treatment. That’s why our mission is to give consumers control over their health by getting them connected with practitioners that are licensed, verified experts focused on Botox. The total cost is dependent on the number of treatments and number of treatment areas. Other cost factors like the physician you choose and even the time of year can influence the cost of your Botox injection. Be wary of discounts as this can indicate the quality or lack thereof of the physician. Research can help protect and guide you in your physician choice. The average cost is approximately $500 per treated area. Areas treated include the forehead, crow’s feet, frown lines, neck bands, between the brows, and the lower face. For the most accurate pricing, consult with your physician to determine the best approach to meet your goals. The number of treatments is dependent on a variety of factors. The number of areas to treat, aesthetic goals, response to treatment, the condition of your facial muscles, and the quality of your physician all contribute to the number of treatments needed. That being said, the average number of treatments for patients is once every 3-4 months per treated area. A higher metabolism combined with stronger facial muscles and deeper wrinkles will result in more treatments being required than it would for someone with less defined facial muscles or less visible lines. How long is the recovery time with Botox? Botox is a completely non-surgical procedure. There is no recovery period or downtime needed. Many patients resume normal activities immediately including going back to work. Make sure to avoid touching or rubbing the treated area after the procedure to prevent the possibility of the Botox migrating away from the point of injection. Keep in mind that while there may not be a recovery period, there are still side effects to pay attention to. Some patients may experience side effects more severely than others. If you find yourself experiencing any of the possible side effects, then you may want to consider suspending some of your activities until you feel better. How quickly will I see results from Botox? Some patients may notice results in as little as a few days, while other patients take longer to notice results. Different aesthetic goals, starting points, and areas treated may affect the speed of the results. However, the majority experience full results approximately one week after the procedure. If you find the results not coming as quickly as expected, consult with your physician to determine if additional treatment is needed to generate results. The results usually last about 3-4 months. Just like with any procedure, your individual metabolism, aesthetic goals, pre-existing conditions, and muscle definition will affect the length of the results. Pay attention to changes in the treated area as time goes on. You’ll notice the effects of the Botox injection fading when you see the return of muscle reactions and wrinkles in the treated area. Your physician will know when it’s time for another treatment to maintain your results. Are there other similar options to Botox? While Botox may be synonymous with removing wrinkles or addressing crow’s feet, it is not the only method of treatment available for patients. There is an entire range of dermal fillers designed to help with such aesthetic concerns like Juvederm or Restylane. There are also more injectables that are similar to Botox as they are a form of botulinum as well. Dysport and Myobloc for example. Besides injectables, there are other options like chemical peels and other facial treatments that may help a person achieve the same result. Remember, that other procedures may have recovery time or additional side effects.